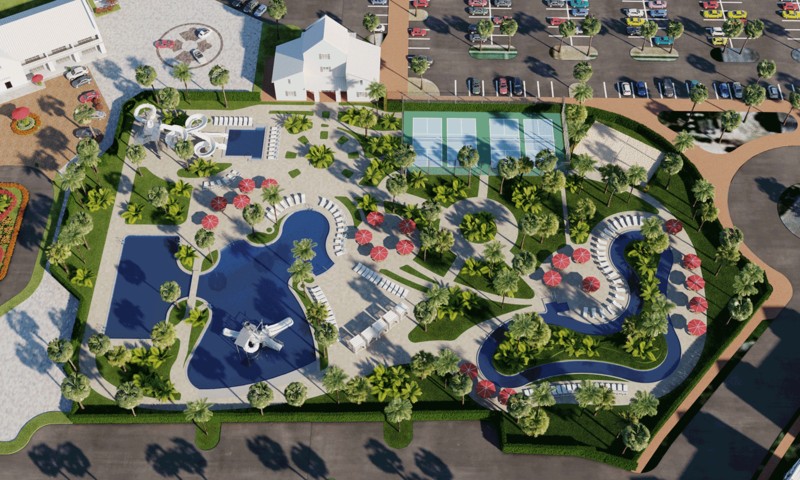 Signature H Property Group has selected local commercial pool contractor Weller Pools to construct its 2.5 acre water park. Weller Pools, headquartered in Apopka, Florida, is known for their excellence in Commercial Aquatic Construction throughout the U.S. and Caribbean Islands since 1974. Their projects have included SeaWorld’s Aquatica, Reunion Resort, as well as numerous community water parks and YMCA’s. The splash park conceptual model (as pictured above) features swim and play areas, water slides, a lazy river, and poolside facilities.